To be successful in E-commerce today, retailers have to do more than just design a website with a shopping cart. SALESWARP, a unique enterprise Storefront Management System that helps retailers increase sales while reducing E-commerce operating costs, and One Pica, a leading digital commerce agency and Gold Magento Solution Partner, announced they have formed a strategic partnership. The partnership will give One Pica the ability to extend to clients a complete E-commerce platform solution that will provide tremendous business and strategic value while complementing their existing strategic, creative, and commerce expertise. SalesWarp, a commercial open source Enterprise solution, helps retailers maximize resources and deliver ROI by providing a scalable E-commerce platform for improving time-to-market, streamlining operations and expanding market reach. Operationally, SalesWarp acts a retailer’s “E-commerce Control Center” allowing them to connect and manage all of their E-commerce systems from one platform through advanced automation. Additionally, SalesWarp provides tools to manage pricing, product placement, data feeds, marketing campaigns and analytics. This helps retailers increase sales by delivering more products to more markets faster while reducing costs. As an E-commerce design and development company, One Pica takes an extensive approach to improve customer retention, usability, lead generation, brand building, growth, and go-to-market services. One Pica develops a unique strategic plan for each business that delivers the products customers’ want, the quality they expect and the support they need to create an excellent customer experience. 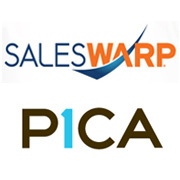 “The partnership will mutually benefit SalesWarp and One Pica by expanding the technology offered to retailers to bring them quality design, marketing, and intelligent operations management,” said David Potts, CEO and Founder of SalesWarp. One Pica is a digital commerce agency serving large and medium size online retailers across an array of industries including apparel, food, athletics, home décor and more. The agency is known for a focus on turning interactions into transactions, optimizing e-commerce websites to increase conversions, and building a community around strong brands.